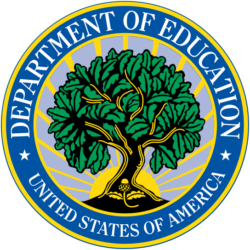 The United States Department of Education (DoED) is responsible for administering and coordinating most federal assistance to education, collect data on US schools, and enforces federal educational laws regarding privacy and civil rights. The DoED is the smallest cabinet-level department with 5,000 employees. Education still serves as the primary antidote to poverty in America. The Department of Education was created to facilitate student achievement in education by way of offering assistance to both individuals and schools. However, although the federal government has invested heavily in education, up almost 400% since 1970, test scores in America have remained flat. It is important Congress not equate spending more with caring more. Whether states should handle the majority of education decisions is up for debate, however one thing is clear, spending more will not automatically produce better students nor better citizens. ED OIG: FY 2016 Management Challenges October 2015 The Department of Education reports challenges within the department. Challenges include improper payments, IT security, oversight, and data quality and reporting. Report.